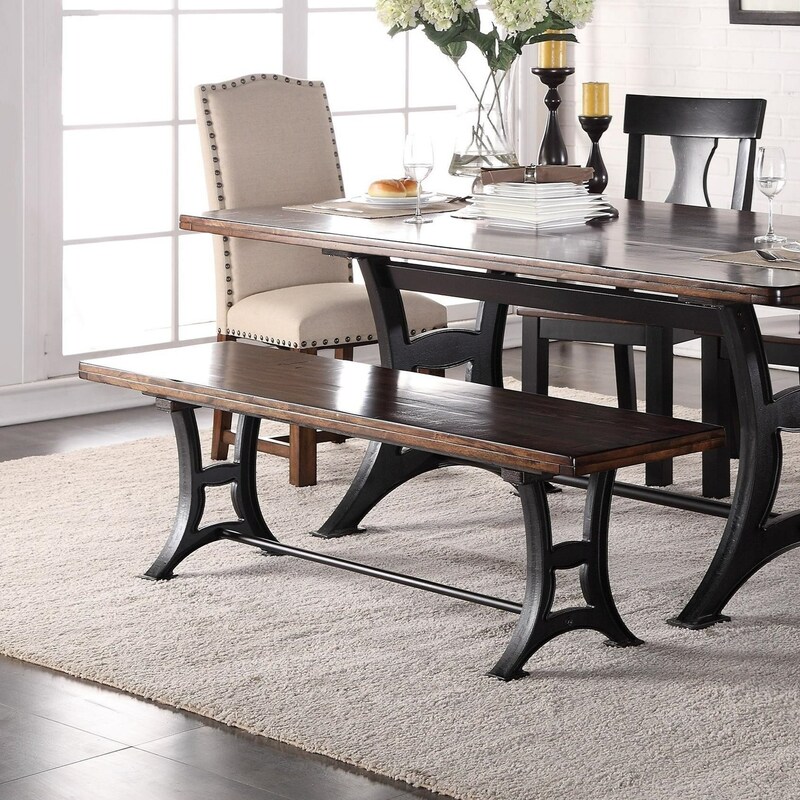 This stylish dining bench is an excellent way to update your dining room. The base of the bench has a Victorian style trestle, giving a reclaimed, industrial appearance. 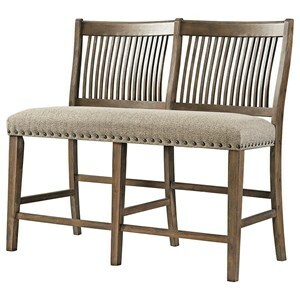 The seat furthers this look with rustic finish. 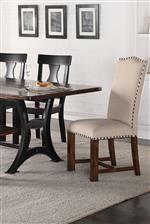 Pair with the matching dining room table and upholstered Parson chairs for a mixed, but cohesive dining configuration. The Astor Industrial Bench with Metal Base by Crown Mark at Household Furniture in the El Paso & Horizon City, TX area. Product availability may vary. Contact us for the most current availability on this product. The Astor collection is a great option if you are looking for furniture in the El Paso & Horizon City, TX area.